CURBS provides a range of children’s resources suitable for use in church settings, such as Sunday groups, after school and holiday activities, as well as in school-based clubs. It also provides issues-based training for children’s workers tailored to local needs, as well the hands-on reflective learning programme, Through their eyes. CURBS employs a part time Project coordinator. Much of the work is undertaken by the untiring support of highly committed volunteers who make up the teams that write the resources, conduct the training, and develop the thinking that drives the project. A Board of Trustees guides the overall development of the work. 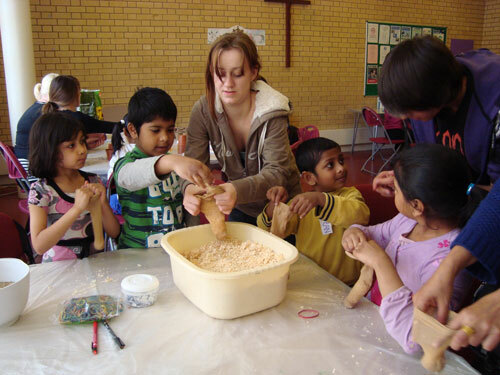 Our resources are used in a wide range of settings by urban and estate children’s workers from all church traditions. Our training is delivered in large conference settings, to groups of churches, and to small groups of four or five children’s workers in a local church setting. Our values and our approach to supporting urban and estate children’s work is recognised nationally as offering a unique perspective in the field of children’s ministry. We are supported financially through grant-making trusts, denominational bodies and through generous giving from individuals. We have been enabled to grow and develop to the extent we have through the prayer support of many committed prayer partners. The vision for CURBS arose in East London back in the 1970s. 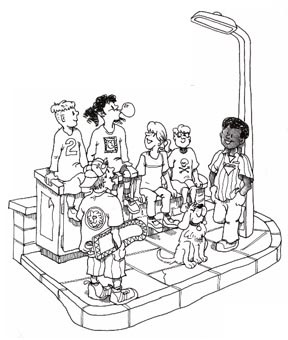 Church-linked community work with children highlighted the need for Christian resources for use with inner-city children which publishers were not providing – resources which started in the world of the child, rather than assuming levels of literacy, biblical knowledge, types of activities, and patterns of attendance and family life more relevant to suburban middle class communities. Also it showed that there were no groups making provision specifically for the training needs of urban children’s workers. Following a pilot project in the early eighties supported by a local charity in the London Borough of Newham, the vision finally became a reality in 1996 when Kathryn Copsey, then editing SALT resources, persuaded Scripture Union to set up CURBS as a pilot venture for three years. During these three years, contacts were established, a resource and support team gathered, a pilot resource pack was produced and evaluated, training modules were developed and further kits were planned. The need for such a project was clearly confirmed such that in 1999, when Scripture Union funding was no longer available, CURBS was launched as a charitable trust in its own right. Today CURBS has continued to evolve using our knowledge and ethos to broaden our reach, where particularly our work is being expanded in the area of estates ministry. Also recognising the changing world we find ourselves in where pioneering and fresh expressions are pushing the boundaries. Believing that all children are created in God’s image, CURBS starts in the world of the urban child and, through positive relationships, seeks to build bridges which will enable them to experience God’s loving care. Spirituality: Recognising and nurturing the ‘God spark’ in all children. 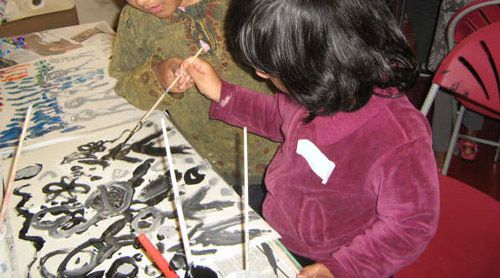 Children: Learning from children, and, like Jesus, celebrating their energy, creativity and value. Urban: Joining with children in the joys and struggles of urban life. Relationships: Putting relationship at the heart of our understanding, learning and growth. Spirituality: CURBS takes seriously and works with the belief that children are made in the image of God and therefore have an inborn spirituality. Within CURBS we are constantly looking for ways in which churches can be encouraged to explore and nurture this spirituality. Developmental processes: CURBS values the insights to be gained from understanding child development, and believes that we need to integrate these insights into the way we work with children. Urban context: CURBS recognises that urban and estate life presents challenges that are rich and unique, and we are constantly exploring how we can understand, value and connect with these distinctive aspects. It’s all very well talking about children but in CURBS we feel it’s really important to be workingwith children as well. Whilst CURBS itself does not currently run any groups for children all our staff, trustees and volunteers connect with children on a regular basis in urban areas and on estates. 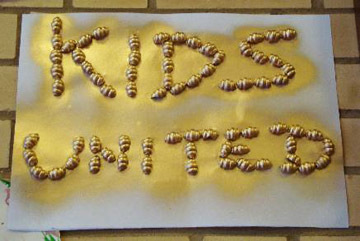 Kids United was an important part of CURBS ‘on the ground work’ with children and families for over 4 years from 2008 – 2012. Based in a church hall in Shadwell in East London it catered for 4 to 7 year olds and ran for a few days during each holiday period. The majority of the children come from one local school and we enjoyed games, stories, crafts and parachute games together. Parents and carers were also welcome to come and stay. During the summer holiday we went on family outings together. Within this setting we ran a series of holiday club sessions based on themes and stories within Christianity and Islam that share a common heritage. This has now be written up as our most recent CURBS Kit, Kids United. Emma is our CURBS Champion in Liverpool. Emma is the youth and families commissioner for the Liverpool diocese and works in partnership with CURBS. She works ‘on the ground’ in practise in the Liverpool diocese and champions CURBS values, resources and training within the area. Emma has a rather packed schedule but if you would like to get in touch with her you can email her using the form below. You can also watch a video of Emma talking a bit more about her role here. 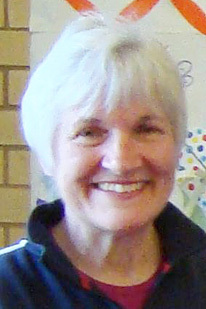 Kathryn who founded the CURBS Project over 15 years ago and who was the Project Leader sadly died on 11 November 2011. She is now in the presence of the One whom she had served so faithfully and so enthusiastically for many years. Her love for children, especially in inner city East London led to the founding of CURBS. Her work has left a lasting impact on many churches and has influenced countless children. Her contribution will be greatly missed but her vision endures. You can download Kathryn’s book ‘From the ground up – Understanding the spiritual world of the child’ via Amazon for Kindle and hard copy HERE.